Call Boat Owner Anderson 757-337-7997. 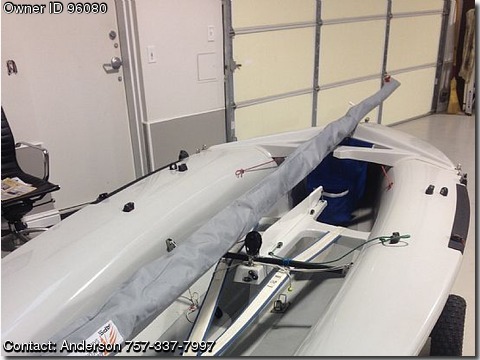 Description: Comes with dolly, spinnaker pole, trapeze wires, mast cover.Fully set up for Club style racing. Original owner, prof. maintained, and stored indoors. We do not have a trailer, but you can put a 420 on top of a car's roof rack.